The end of the year is fast approaching. Anticipation of a New Year filled with fresh opportunities and happy times is in the hearts of many. As we move into the new year, there are a couple of changes to the cosmic landscape that I’d like to bring to your attention. 2018 carried the energy of the number 2, manifesting as a year of offering support to partners or unions. Number 2 years require a lot of giving and we may often feel as though we’ve been overlooked or have been delegated to the back seat, but these years can also reward us with loving relationships and help us develop a stronger sense of self. The 2 is associated with the Moon, carrying the light of the Sun rather than emitting her own. If you felt this way in 2018, you are not alone. Talking with others has made me realize just how alone or frustrated many of us have felt during the past year. 2019 is a number 3 year, associated with Jupiter and real, no-holds-barred honest self-expression. That expression can signify joy or feeling good in your own skin for the first time in a while—even when times are not at their best. Number 3 years can wake us up to our own self-deception and give us the courage to be who we really are. No more slumping in the back seat under the control of someone else. Jupiter will bouncing around his home turf of Sagittarius in 2019. Wherever Sagittarius is in your chart, Jupiter should offer you some gratification during the coming months. I’ve got my fingers crossed for you. Mars moves into dynamic Aries on New Year’s Eve urging us to get moving. The flourish of activity that we see—or want to experience immediately—can definitely find us making new plans, jumping on New Year resolutions with gusto, or feeling like we’ve been swept up into something moving much faster than we expected. As with all Mars/Aries energies, make sure you are committed to the rush or wait until you see a more appropriate opportunity. The pace will stay fast and furious until mid-February when Mars takes on the steadier gait of Taurus. Generally speaking, 2019 begins with joy and vigor. 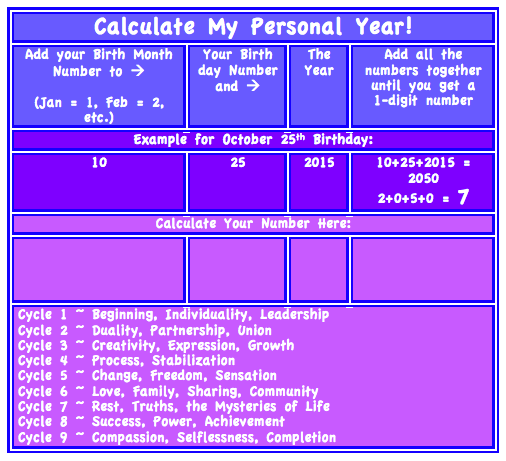 Of course, everything is dependent on how it fits into your personal chart. Jupiter, Mars, and the number 3 are vibrant energies. Tap them for an invigorated start to the beginning of the year. I hope you are blessed with a Happy New Year filled with prosperity, love, and joy. Many of you have enjoyed the Quick-View calendars, so I put together a flip-through so you can see exactly what’s included in the 2019 calendar. I’m offering a 10% discount off the $16.00 price through December 21st. There are several different calendars on my Etsy page, so please do take a look. 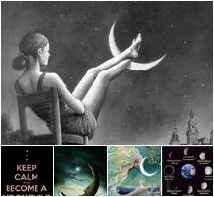 You’ll also find other lunar calendars and your personal Moon Days calendars there. Thank you for sharing all the helpful information. I look forward to 2019.. Blessings to you and your family! Have a wonderful Christmas, CJ. It’s good to know I have a fellow blogging friend out there! I know! I feel the same way. 🙂 Merry Christmas!